Beaches on Islay can get busy. Especially when the cattle and sheep decide it’s time for a walk on the beach. Seen here at the top of Loch Indaal at low tide. 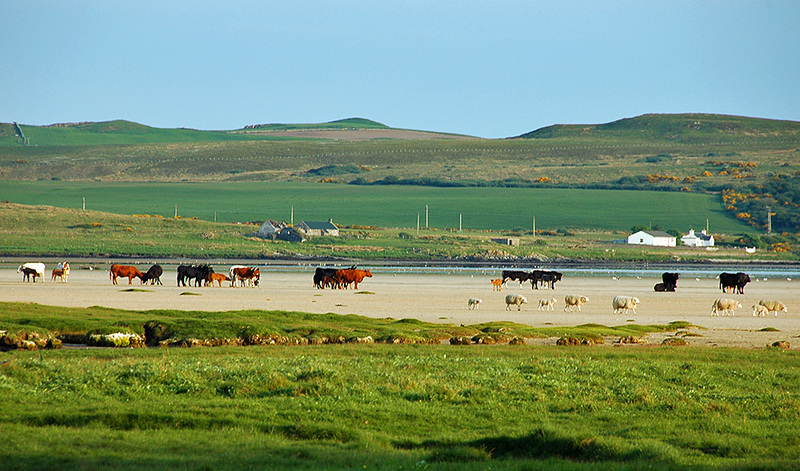 This entry was posted in Beaches, Landscape, New Post, Sea Loch, Sunny Weather and tagged cattle, Islay, Loch Indaal, sheep by Armin Grewe. Bookmark the permalink.